The start of summer here in Nova Scotis was full of intense wine competitions; beginning with the Atlantic Canadian Wine Awards, hosted by the Canadian Association of Sommeliers – Atlantic Chapter, followed by the the Lieutenant Governor General Awards of Excellence in Nova Scotia wines and, ending in the mammoth WineAlign National Awards of Canada– held this year in Wolfville, Nova Scotia. When I was asked to participate as an apprentice judge for “The Nationals”, I was thrilled! It was an incredible learning experience to taste and judge alongside so many accomplished sommeliers, wine judges, writers and industry influencers. As an apprentice, I sat and judged during three out of five days of the competition. WineAlign has been organizing these National Awards for 17 years now. Canadian Wine Greats Anthony Gismondi and David Lawrason are at the helm, seeking to bring the best Canadian wines and critics under one roof. Their ultimate goal? To identify the country’s best wines. These results have always served as an invaluable guide for the both producers, industry folks like Bishop’s Cellar and, of course, consumers. The day before the competition began, I sat in on a training session taught by wine educator DJ Kearney alongside Mr. Gismondi and David Lawrason. It was quite the intimate affair; just those three wine gurus plus apprentice judge Stefan Nielson (formerly of Obladee Wine Bar) and myself. Here we learned about our role throughout this process. The National Wine Awards this year saw over 1700 entries! That’s a lot of wine to taste in 5 days. There were 24 judges, split up into panels of 3-4 judges at each table. These panels would change each day. Each panel would tackle a different flight of wine (or cider) and taste, on average, 12 flights a day, with 8-10 wines per flight. 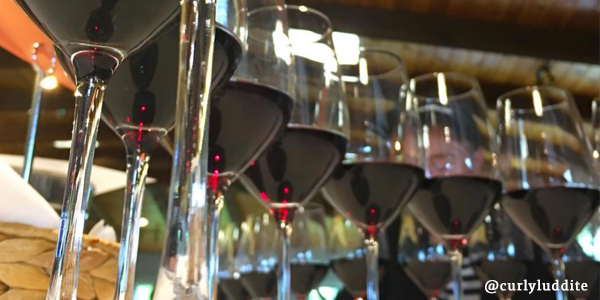 The judging process consists of evaluating and scoring the wines in a flight, first as individual judges. The wine is arranged like-with-like (Tradtitional Method Sparkling, Chardonnay, Gamay, Red Vinifera, Tidal Bay etc). Once the judges finish their flight, they record their scores on a sheet and the panel leader checks the group’s scores. Ideally, the individual scores on each panel are all within a few points of each other. At times there may be a discussion as to why one judge scored a particular wine higher / lower than a fellow judge. Some judges will move a score up or down to be in sync with the majority of the panel once realizing that they likely missed something about the wine. Ultimately, the goal is to find the great wines and the great wines really do announce themselves. Be efficient…but don’t rush! In this competition, about three minutes were allotted to evaluate and score each wine. Keep notes short and sweet. Highlight the key elements of the wine’s structure and quality; no need for flowery descriptors here. Beware of hovering in the “safe” zone when scoring. This safe area is usually somewhere around 86 points, which is not even medal contender for these awards. Don’t hide behind other judges scores – be confident! Don’t taste “down” to what you assume the consumer wants. On the flipside, you don’t have to be a sommelier to pick out a good wine. Don’t be a fault finder. Approach the wine by looking for its positive qualities. Don’t be seduced by sugar, oak and big wines. These may command one’s attention, but usually they lack substance. 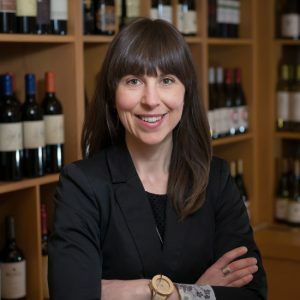 Give young wines a chance; they are harder to evaluate because of their closed nature and possibly hard tannins, but a good judge can see where these wines are going. Beware of tannin builldup. For this reason, the flights are organized in such a way as to minimize palate fatigue and tannin buildup, logically alternating between white, red, sparkling, and ending with really sweet stuff. What is a good wine? A wine that is clean, with good structure, complexity and length. A wine that shows focused flavours on the finish. A wine that shows typicity for its varietal, blend and region. A wine that is delicious!